Custer’s most recent start on a 1.5-mile oval was at Kentucky Speedway in Sparta, where he earned his fourth-career NASCAR Xfinity Series pole, led 14 laps and secured his 10th top-five finish of 2018. He led the 2017 Xfinity Series with 422 points at 1.5-mile tracks after winning the season finale at Homestead-Miami Speedway by 15.405 seconds and winning Stages 1 and 2. The DC Solar 300 at Las Vegas Motor Speedway is the last race of the regular season. Custer is second in the standings, 49 points behind first-place Justin Allgaier. The winner of the regular-season championship will earn an additional 15 playoff points – equivalent to winning three races. The DC Solar 300 is the seventh of 11 races on 1.5-mile tracks on the 33-race NASCAR Xfinity Series schedule. Custer has earned one pole, four top-five finishes, five top-10s and has led 47 laps in the six 1.5-mile races run this season. 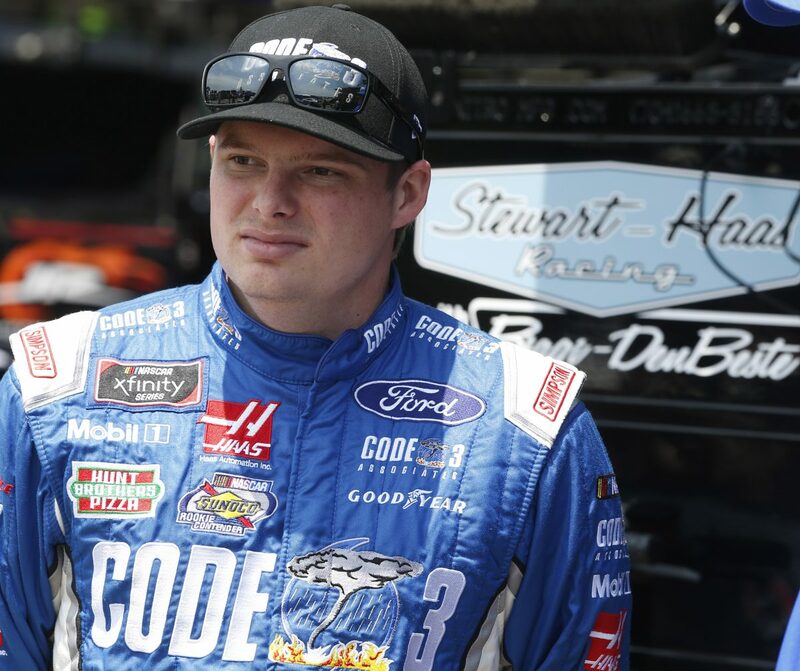 Custer has competed in four career races at Las Vegas – one Monster Energy NASCAR Cup Series start, two Xfinity Series starts and one in the 2016 NASCAR Camping World Truck Series. In 20 career Xfinity Series starts and nine Truck Series starts at 1.5-mile ovals, Custer has one win, one pole, nine top-five finishes and 17 top-10s. Custer, a native of Ladera Ranch, California, grew up racing in grassroots series across the Western United States. He began racing at the Bullring at Las Vegas Motor Speedway in 2011, earning a victory in the USAC Young Gun division to help him secure the USAC National Focus Young Gun championship. Then, in 2012, he became the youngest Late Model division winner at the Bullring, also earning the NASCAR Nevada Rookie of the Year title. 00 Code 3 Associates Ford crew chief Jeff Meendering isn’t a stranger to success at Las Vegas Motor Speedway. Meendering was the NASCAR Cup Series crew chief for Bobby Labonte throughout the 2008 season, earning a 17th-place finish at Las Vegas in his third race with the team. He has come close to victory lane at the 1.5-mile oval as a car chief for Jeff Gordon, earning a fourth-place finish in 2005, a fifth-place finish in 2006 and a second-place finish in 2007. Custer’s average starting position of 6.4 and four pole awards leads all Xfinity Series regulars. He has earned 18 top-five starts and 23 top-10 starts in the 2018 Xfinity Series season. Custer’s 20 top-10 finishes is tied with Elliott Sadler and Allgaier for most among Xfinity Series regulars. Custer has earned four poles, 10 top-five finishes and has led 237 laps in the 2018 Xfinity Series season. Knowing that you’re second in the regular-season standings and third and fourth place are just a few points behind, how important is it to hold onto second place to earn 10 playoff points – equivalent to winning two races? How has Cup Series racing at Las Vegas given you an edge at the 1.5-mile track? How do you feel about Las Vegas and how are you planning to attack the weekend?